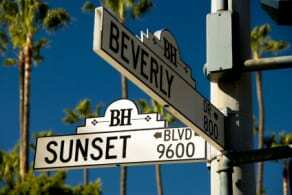 In addition, Beverly Hills offers some of the finest and safest healthcare systems in the world. Dr. Josef Hadeed, MD maintains privileges to perform surgery in many of them, including UCLA Santa Monica Medical Center, Olympia Medical Center, and St. John’s Health Center. Visit our surgery center profiles. Beverly Hills is conveniently located. Patients appreciate easy access to five international airports, including Los Angeles International Airport (LAX), LA/Ontario International Airport (serving the Inland Empire), John Wayne Airport (Santa Ana, CA) , Bob Hope Airport (Burbank, CA), and Long Beach Airport (Long Beach, CA). 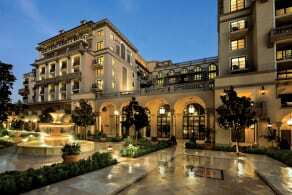 Once in the area, you’ll find getting around Beverly Hills both accessible and easy to navigate. There are hundreds of charming nearby shops, restaurants, entertainment venues, cultural attractions and museums to appreciate. Many patients travel here from places both domestic and abroad–and choose to enhance their top notch surgical experience with an extended stay to in order to fully relax and appreciate this world-renowned Southern California destination.